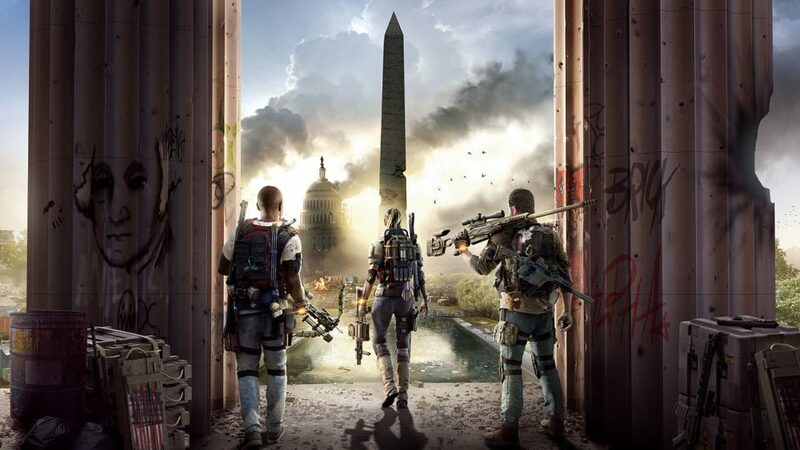 The world of Ubisoft’s The Division 2 is a hostile one, filled with rival factions all intent on making Washington D.C. theirs once and for all. Fortunately, you’ve got a range of weaponry and gear to help you along the way, and players can even unlock different grenade types to suit their play style. Here’s how to get and change grenade types in The Division 2. There are a few different types of grenades you can unlock for yourself in The Division 2. These are locked behind the various Specializations that players can unlock upon reaching level 30 in the game and complete the three different Stronghold missions. We’ve listed down below each different grenade type, as well as what Specialization unlocks them down below for your convenience. To get these, you’ll want to return to The White House upon reaching level 30. From here, head over to the Quartermaster on your left as you walk through the main entrance and go over to the ‘Specializations’ section of the table. Press Square, X, or F to open this menu and you’ll be shown the three different Specializations within the game. Selecting one of these will open the talent tree for that particular Specialization, and you’ll find the different grenade type for each one found at the top. Keep in mind you’ll need to use Specialization Points in order to purchase these different talents, rather than the usual SHD Tech you’ve used up until this point. Specialization Points can be earned by completing a number of end game activities within The Division 2. We found that completing Strongholds was the most reliable way to get these, though they’re pretty challenging and require you to work as a team to overcome. Saying that, there are other ways you can get these points. Completing Invaded Missions or capturing Control Points were fruitful for us, as was looting any Cache Boxes we spotted as we adventured around the city. Though, it’s worth noting that from our experience, Cache Boxes have a far lower drop rate for Specialization Points than other end game activities. Finally, it’s worth noting that you’ll only earn Specialization Points for whichever one you’ve chosen and currently have equipped at the time of earning them. For example, if you’ve selected the Survivalist and complete three Invaded Missions, you’ll only be able to spend any points you earn specifically within the Survivalist talent tree. Once you’ve unlocked the different grenade types from the Specialization talent trees, all you need to do is press Options on PS4, Menu on Xbox One, or your gear menu on PC, and select the grenade slot right in the bottom right of your Inventory screen. Select this, and you’ll see all the different grenade types available to you. Choose the one you want, back out, and you’ll be all good to start dealing damage with your new throwables. That’s everything you need to know on how to get different grenade types in The Division 2. For more tips, tricks, and guides on the game, be sure to check out our ever-expanding guide wiki.